We just returned from a marvellous mountain trek along Rádjebálges from Ritsem in Sweden to Sörfjord/Tysfjord in Norway. It was me, my husband Simon and our oldest daughter Aana 11 years old together with our long-time friends Anna, Ingar and Mikkel-Amma (11) from Drag Norway. We brought with us vessel no. 17 on the three days and 42 km backpack trek across the mountains. This vessel no. 17 was not sent across the world by a fast moving fuel consuming airoplane. It was transported by foot on a trek over the mountain which allows plenty of time to see listen feel and think. To seethe beauty of the landscape, to listen to the birds and the water flowing in the rivers and streams. To feel free with no mobile phone network within reach for days and to think – again – about why I want to do this extensive art project. I like the thought that this journey, as well as the vessel of glass, can act as a metaphore and symbolic message carrier to bring together friends and relatives in the Sami area of Sweden and Norway. I also think it is important to keep and strengthen the connection between us belonging to the Lule sami area. Many of us have relatives in the two countries, so do I, and I felt very welcome to my first ever visit to Divtasvuodna/Tysfjord. We need to share the stories we have from the past, of the people and of the landscape. We need to look after ourselves, care for each other and LISTEN to each other, with curiosity and respect. All of us are different individuals and we belong to different family groups, however we share the same culture, language and stories of the past. It is a bit like the vessel of glass, that has it’s individual little square murrinis. Some are alike and some quite different – yet fused together in the same form. However, we need to help each other and be strong enough to act if we for example see signs of violation or abuse, without consideration of loyalty to family or kinship ties. This is not easy within a culture where family and relative ties are strong and go many generations back – but each individual´s human rights has to come first. 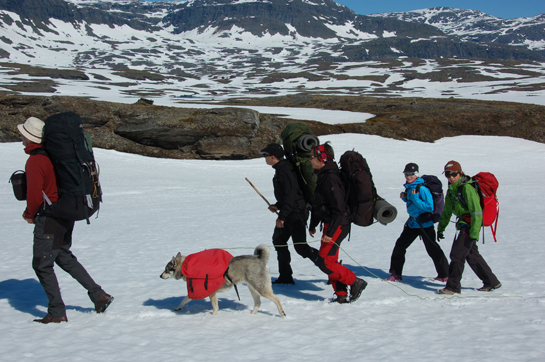 Anyway, thanks to family Kuoljok Nikolaisen that suggested this journey “by foot” over the mountains. A trek with a first day of rain followed by two days of sunshine, minus degrees at night, lots of laughs and tired legs. Rádjebálges / Gränsleden is a beautiful track to walk far away from the busy Kungsleden trail on the Swedish side of the mountain range. Yet, make sure you know how to use a map and compass or your GPS as it’s somtimes hard to find. The landscape tells so many stories “that’s where the Germans had their lookout during the 2nd world war and over there is the reindeer milking grounds of my grate grandfather…” and so on. 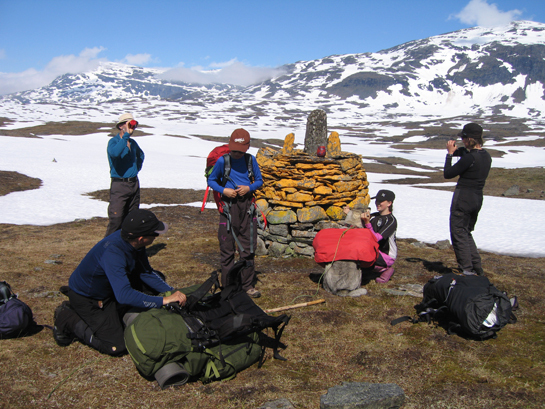 And bring two 11-year olds if you want entertainment during a trek in the mountains… they were great and so much fun! !